← Need Help with a blog for your Business? When you are starting a home-based business you already are trying to handle several things at once. The idea of trying to create and maintain a home business blog might seem like to much to handle. The truth is that blogging won’t take that much time, it is an excellent way to promote your business, and you might even find that you enjoy it. Some people find that blogging is their favorite aspect of marketing. There are several things that you can do to help make sure that your home business blog is a prosperous marketing tool. Print up a card reminding yourself to always post original content on your blog. You are going to want to make sure that in addition to your posts being original and not plagiarized, you also want to try posting unique topics. The more original and interesting your topics are, the faster you are going to learn how to grow your money with your list of followers. After you have been working on your business blog you will start to discover that posting interesting topics becomes easier and easier. Even better, you are going to find that you can use the comments your followers post as inspiration for future posts. As important as it is to make sure that your business blog is full of original content, it is equally important to make your blog interactive. You need to encourage your followers to make comments and share their thoughts on your blog posts. Not only will this make your blog more interesting to others, but it is also a productive way to develop ideas about how you can improve your blog, your home based business, and your online marketing strategy. Don’t assume that just because you have posted to your business blog that you can just walk away from it. One of the reasons that people have decided to follow your blog is because they want to interact with you. You need to spend some time not just reading through your comments, but also responding to some of them. If you are going to post any sorts of facts or statistical information on your home business blog, it is very important that you take the time to double and triple check your information. You are also going to want to check at least two or three different resources. It is very important that any factual information posted on your blog is correct. Not doing so will seriously jeopardize your credibility. The most important thing to remember when it comes to your home business blog is to have fun with it. When you enjoy writing your blog, you are going to find that your pleasure is contagious. 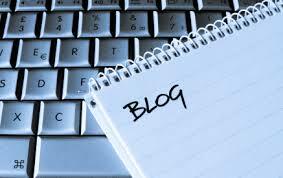 Click here to learn how to promote a Home Business Blog. This entry was posted in Blogging and tagged Home Business Blog, How to Grow Your Money. Bookmark the permalink.